“Bacardí Añejo Cuatro [means four in Spanish] is barrel-aged for a minimum of four years and has a beautiful golden apricot hue and boasts notes of mild vanilla, toasted oak, clove and honey. Its profile is driven by oak contribution and highlights the smoothness throughout the aging process,” the company said. 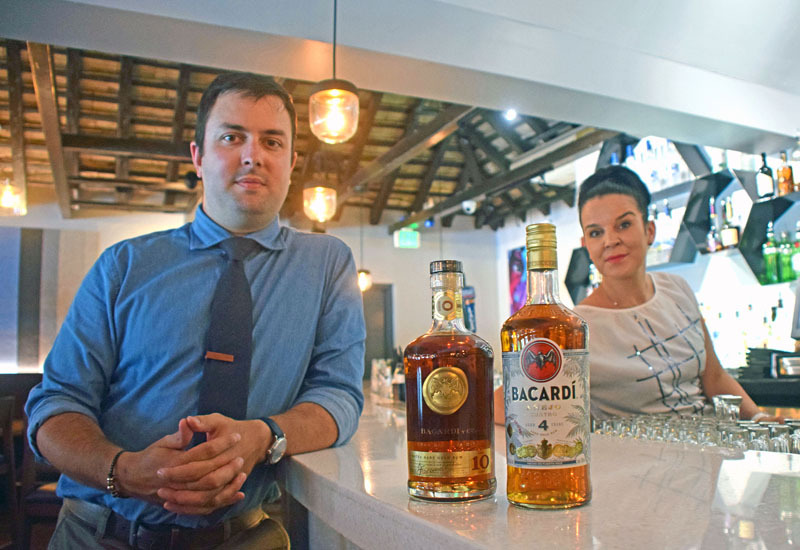 Burrows and Lightbourn are the distributors for Bacardí rums on the Island and Michael Fay, Vice President of Sales & Marketing for Bacardi, says the new rums, in addition to the existing Bacardí Reserva Ocho and Bacardí Gran Reserva Limitada, make up the Bacardí ‘True Aged’ Rums portfolio – meaning the age statement on the bottle indicates the minimum number of years the liquid rested in oak barrels.